To MEC or not to TEC, where are my Connections? I think that there’s a fair chance that I am the only person to have presented keynote sessions at each of the Microsoft Exchange Conference (MEC), The Experts Conference (TEC), and the Exchange Connections conference. As such I might be in a reasonable position to offer some guidance as to what value these conferences offer to technologists who are interested in learning more about Exchange. Here goes. Quite understandably, MEC is occupying a lot of attention at present. In early March, Microsoft announced that they were bringing MEC back after a ten-year gap. It seems like the plan is to use MEC as the public launch event for Exchange 15 (or Exchange 2013, if you subscribe to the theory that this will be the name attributed to the product). At least, the indications of the agenda published on Mecisback.com point to sessions that are heavily focused on Exchange 15. The combination of MEC returning, complete with the surrounding tales of the wonderful happenings that occurred at previous MECs, plus lots of sessions describing the technical innards of a new version of Exchange is sufficient to give the Orlando-based event (Sept 24-26) the potential to be a big draw. The sole problem that might prevent Microsoft selling out the 2,000-or-so seats for MEC is money. People who have already committed to attend other events such as TEC, TechEd, and Spring Connections before Microsoft announced the relaunch of MEC at the start of March might find that travel and training budgets do not permit a trip to MEC in 2012. We shall see. Apart from attendees finding the necessary dollars to attend, another nagging doubt that I have revolves around MEC’s concentration on Exchange 2013. No one loves to hear about new technology more than I do, but potential conference attendees need help with more than news about new stuff. It’s more valuable to hear about how to use technology to solve business problems. Although some companies deploy new versions of Exchange early, the majority traditionally wait until the first service pack is available. A feeling persists that Microsoft server applications lack polish until they have the chance to receive customer feedback and perhaps some additional time to complete features. Certainly this was the case with both Exchange 2007 and Exchange 2010. 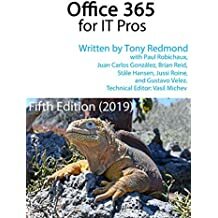 In addition, some of the folks who might have deployed a new version of Exchange on-premises now use Office 365 and don’t have to care too much about the technical details because Microsoft takes care of upgrades, refreshes, and so on now. Given these factors, it’s easy to imagine how some might struggle to convince their management that a trip to MEC is a good investment when their company probably won’t deploy Exchange 2013 until 2014-2015. Even so, I still think that MEC will be a sell-out and deliver a week of compelling content. So what about TEC? Well, TEC has certainly delivered in terms of some excellent sessions from both Microsoft and external experts at the events that I have attended. They have a dedicated team that searches out solid speakers who boast a lot of experience on the topics that they talk about, which is always a good thing. On the other hand, the amount of Exchange content at TEC is small in comparison to a full-on conference such as MEC. TEC also covers SharePoint, virtualization, PowerShell, and its historical underpinnings in Active Directory and identity management that gave the conference its raison d’etre when it was first set up by NetPro (a company that was succumbed into the much larger Quest group some years ago). A good bunch attend TEC year-on-year and some of the sessions from external speakers are as in-depth and helpful as you’d ever want to hear. On the other hand, Quest also uses TEC to publicize its software and at times it can seem like a marketing-led event. This is understandable as all conferences have to be funded and attendee fees often don’t pay the full cost. And then there’s Exchange Connections, which is run as part of a suite of events that focus on different aspects of Microsoft infrastructure technology (Windows, SharePoint, ASP, etc.). Connections took up the baton after Microsoft dropped MEC to provide the Exchange community with a place to gather to share news, views, and information. Many MVPs and other experts support Connections as have Microsoft speakers over the years to provide a good mix of “here’s what we designed the product to do” and “here’s what the product actually does when deployed into production” sessions. Although Connections has successfully provided a lot of excellent content for the Exchange community in the last 10 years, it now faces a simple but difficult challenge – Connections now has to rapidly evolve to provide something special that is very distinct to MEC, a conference that takes place some five weeks previously. I think it is unlikely that many will attend both conferences and it seems like a straight contest between the two for attendee dollars. TEC is out of the equation this year because it occurs at the end of April and most attendee decisions have been made already. The influence of a revitalized MEC will be felt by TEC in 2013. At that time TEC will also need to come up with a new value proposition or otherwise it will become an also-ran when it comes to Exchange. What do I think the independent conferences should focus on? The answer is pretty simple. They cannot take on Microsoft when it comes to describing technology that’s en route or the finer engineering details that are only known to those who have access to product code. Therefore, independent conferences must deliver content that is practical, hard-nosed, and insightful based on real-life deployment experience. In other words, while MEC tells people what’s coming or the Microsoft view of life, the universe, and Exchange, independent conferences tell the other side of the story. It will still be tough for them to compete against MEC because some attendees will always be drawn to a Microsoft event on roughly the same basis that no one was ever fired for buying IBM computers. But at least they’ll have a shot at attracting sufficient attendees to make an independent conference financially feasible. And what of TechEd, Microsoft’s other event that absorbed Exchange content after the last iteration of MEC? I have not attended TechEd for some years now as I considered it to have become a bloated event full of so-so presentations delivered by presenters who rarely satisfied. Additionally, the amount of marketing content on the TechEd agenda appeared to be increasingly important. There are notable exceptions of course as great presenters and compelling sessions still do happen at TechEd, but these jewels had become increasingly rare. The upshot was that my desire to find an excuse to attend another TechEd declined gradually over the last few years. I’ll need a good reason to return. I hope that Microsoft won’t fall into the trap of recycling sessions from TechEd to MEC and back again, which is what happened in the past. My hope is that the Exchange development group delivers new and compelling content at MEC. I think this is a far assumption for 2012 as they’ll be talking about a new product. The key will be to maintain quality when the technology isn’t quite so new. It’s both an interesting and complicated time to be making a decision about what conference to include on your travel and training plans for the remainder of 2012 and on into 2013.Until it eventually delivers, MEC will remain an unknown but compelling potential. TEC will happen as planned in 2012 and face into the future thereafter. The Fall 2012 Exchange Connections event is probably under most pressure because it happens after MEC and therefore has to change now. At the end of 2012 we will have much more information upon which to base 2013 plans. I think it’s important to have a selection of conferences to inform and educate people about technology. It would be a great pity if the long-awaited relaunch of MEC caused other conferences to fold. Competition usually drives development and evolution. Let’s hope that this occurs in the conference space too. This entry was posted in Exchange and tagged Exchange conferences, Exchange Connections, MEC, MECisBack, Microsoft Exchange Conference, TEC, The Experts Conference. Bookmark the permalink. 8 Responses to To MEC or not to TEC, where are my Connections? Nice post – Is there anyway we can get to see the earlier MEC event webcast….? Sorry… I don’t think webcasts existed (much) when the older MEC was around… No problem with the book. I enjoyed writing it! I attended Exchange connections in Las Vegas last year, and I’m also going to attend the Quest conference in San Diego in a few weeks. The problem with the conferences is, by the time you get there the information is allready out and readily available. So you are not learning anything really new anymore junlike the old days due to the wide availability of information on the web as we all know. Where I still find value in attending these conferences, is speaking to other IT folks who are early adapoters of some technology and learn from their experiences. Getting time off from your normal everyday job in order to fully concentrate on the subject matter at hand, also helps. Another value of conferences is the potential for interaction with other attendees. I know that I always learn something valuable through conversations that I have at conferences. I would love to see a Unified Communications Conference. Just focus on Lync, Exchange, and all things UC. There is Enterprise Connect but this is geared more toward voice. I agree with your point on TEC becoming a Quest sales pitch. Exchange connections seems to have lost it’s luster as far as presenting new and relevant information. TechEd has become marketing dribble. We need a technical conference that helps with integration between different vendors and the gotchas out there. Not too mention a new vendor to take the place of some of those Sybari parties of MEC old. I think there are quite a few people (anyone who goes near Lee Mackey especially) who would agree with your view that a UC conference is the way to go. Although Exchange Connections seems to have lost some of its lustre, I do know that the people at Penton Media (who organize the show) are concerned about the rebirth of MEC and understand that an imperative exists to do something new. Hopefully we’ll see some of the results of their work at the Fall Connections 2012 event in Las Vegas (where else?) in late October. I do hope so. Thanks for the informative post about the different conferences – good to hear an independent view. My background is messaging, but with a focus on email migrations (usually off GroupWise or Domino onto Exchange 2010). Having completed a large number of successful, diverse, email migration projects, I started a website http://emailmigrations.com, dedicated to the topic. I am keen on speaking at conferences on this topic, as believe I can talk about real-world experiences which would be helpful for others. The TEC conference sounds a good place to consider. Any other advice/guidance would be appreciated. Getting in touch with the various conference organizers would be a good first step. Their contact details are usually listed on their web sites.